The Dances of Universal Peace emerged late in the life of Murshid Samuel Lewis in the late 1960s. Sufis have known music and dance as spiritual practice for hundreds of years, yet it was Murshid SAM’s vision of dancing to the mantras and sacred texts of all the world’s spiritual traditions that originated a truly new and universal spiritual practice. The Dances perfectly captured Murshid’s vision of “Peace through the Arts,” creating experiences of embodied spirituality, rhythm, and heart awareness in his students. 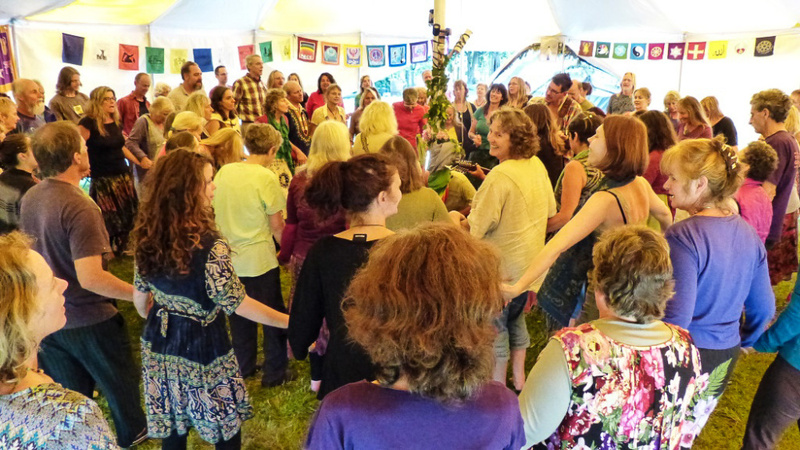 The Dances of Universal Peace are a participatory group spiritual practice facilitated by a Dance Leader. The Leader teaches the group the sacred phrase, music, and movements, and after a short practice, participants enter the Dance with live music and/or singing accompaniment. This “spiritual practice in motion” brings participants directly in contact with the depth of the sacred phrase, encouraging a direct encounter with the truth of it through music and evocative movement. The Dances affirm Life and Truth with body, heart, and soul, opening participants to nonverbal experiences of unity and ecstasy. This taste of our true nature—Universal Peace—opens us to the possibility of a deep spiritual transformation.